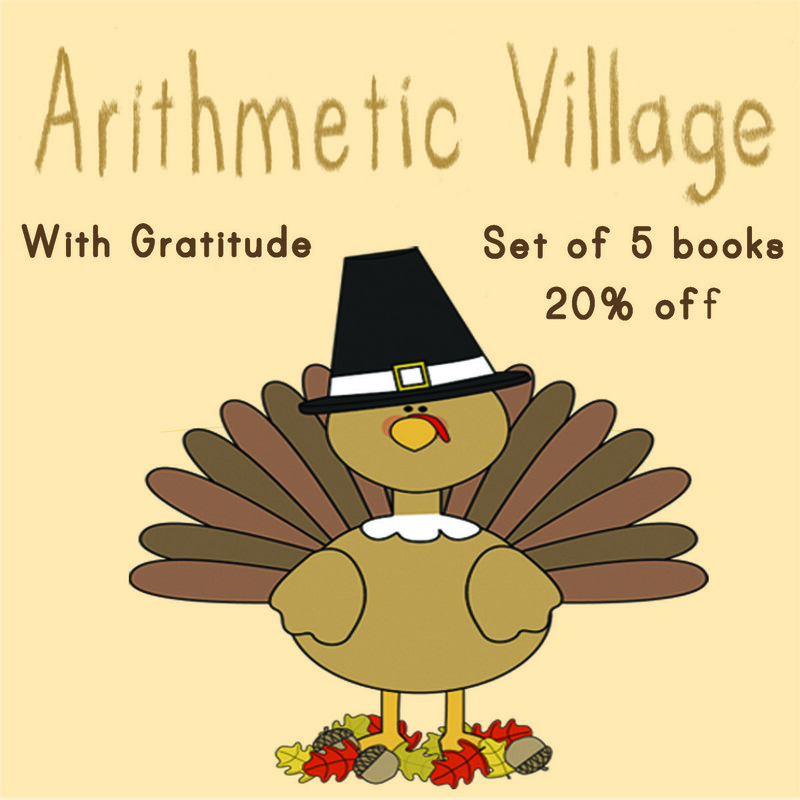 I am so incredibly grateful to my Arithmetic Village fans who have supported me all of these years. You’ll never know how much your “likes” comments, questions, thank you notes and added ideas and suggestions have managed to brighten my day. In appreciation, the books will be 20% off until December 1st. Just in time to do some fun, lighthearted math around the holidays. Enjoy!